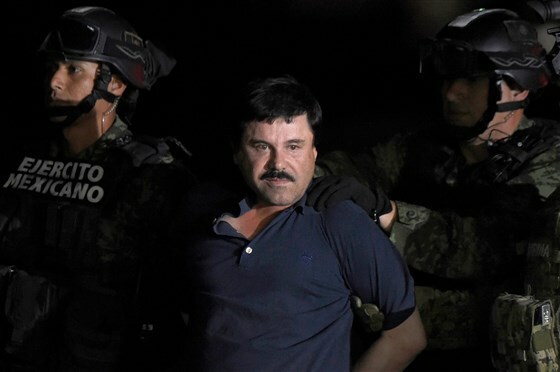 Mexican drug lord Joaquin “El Chapo” Guzmán is heading to prison after his conviction Tuesday on 10 charges, including engaging in a continuing criminal enterprise and multiple counts of distributing tons of narcotics into the U.S. Given the Sinaloa cartel leader’s resources, money and prior prison escapes, Guzmán, 61, is the perfect candidate for a Supermax penitentiary, in particular one called ADX Florence, according to Bob Hood, a former Supermax penitentiary warden. The twelve jurors – eight women and four men held incommunicado and anonymously – convicted him of the ten charges ranging from “money laundering” to “cocaine trafficking” to “organizing a criminal enterprise”. “. Joaquin Guzman – whose lawyer announced he will appeal – will not be sentenced until June 25, but he is likely to receive the maximum sentence, life without possibility of release. “A sentence without return and without loophole,” predicted at the end of the court the prosecutor Richard Donoghue. The drug dealer could be transferred to an ultra-secure federal prison in Colorado. When the verdict was read, after six days of jury deliberation, his wife, who was in the room, Emma Coronel, discreetly made it an inch of victory. The lawsuit described the methods of drug traffickers, who flood the US drug market and lead to a destructive gang war in Mexico.